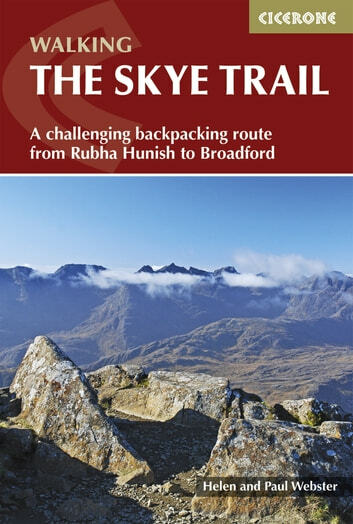 This guidebook describes the challenging 80-mile (128km) Skye Trail, a week-long trek across the magical Isle of Skye, the largest island in Scotland's Inner Hebrides. As yet unwaymarked, the route demands navigational skill, fitness and self-reliance and is therefore suitable for experienced backpackers and mountain walkers. The trail is presented in 7 stages of between 7 (11.5km) and 18 miles (28.5km), plus an alternative stage to include an ascent of Bla Bheinn. 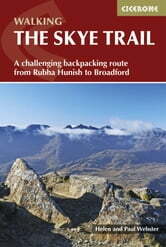 Alongside detailed route description, 1:50,000 OS mapping and stunning photography, the guide provides a wealth of information about Skye's rich history, culture, literature, geology, wildlife and plants, as well as practical advice such as when to go, what to take and where to stay. Blending information with inspiration, the result is an ideal companion to trekking this magnificent route. From the headland of Rubha Hunish, through Portree to Broadford, the Skye Trail provides the walker with a tour of Skye's most iconic landforms - including the Quiraing, the Old Man of Storr and the Cuillin - as well as of its turbulent history, from Iron Age forts to the ruins of Clearance villages. Whether making use of island hospitality or opting for the freedom of a tent, completing the continuous route represents a real challenge and a fitting match for the epic landscapes found on Skye.